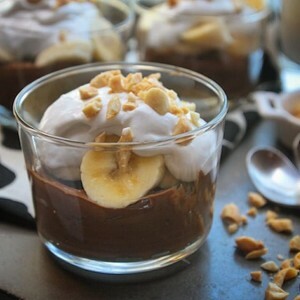 A vegan chocolate treat that makes all your dessert guilt slip away! Full of antioxidants, cocoa fights inflammation, helping ward off cancer development. Cocoa also helps to prevent memory decline and improve brain health by increasing blood flow, while supporting cardiovascular health. Creamy texture is not all that avocado brings to this dessert. Avocado is loaded with heart-healthy monounsaturated fats, contains more potassium than bananas, and may reduce the side effects of chemotherapy! 1. Combine coconut oil, chopped dates, maple syrup (or honey), vanilla, avocados, cocoa powder, and half of the coconut milk into a blender or food processor. 2. Blend 2-3 minutes until smooth. 4. Spoon the pudding into ramekins, small bowls, or small mason jars. Cover and chill in the refrigerator until ready to serve. Optional: Top with sliced bananas & whipped coconut cream, orange zest, or toasted coconut before serving. Don’t compromise your health to feed your sweet tooth. Fight cancer with dessert!